Many years ago when I was “merely” a stay at home mom (totally said tongue in cheek) I had no time, energy or money to keep up with the latest decorating trends. My decor consisted of cross stitch pictures and handmade, cutesy seasonal items that totally either matched perfectly (uck) or was just thrown together with no thought or knowledge. In a word, it was bad. As a homeschooling mom with five kids, four cats, three dogs and a bunch of other assorted critters I was lacking space and creativity. All my energy went toward surviving until bedtime before it was time to start all over again. Am I preaching to the choir here? One of my goals with this blog is to not only share my story but to inspire you to take a few risks to create a beautiful space filled with your personal style. I promise it will always, always, be on a budget with DIY projects and thrifted decor. Now do you love the shabby chic style but don’t have any idea where to start? Let me show you how to translate this decorating style to your own home. My husband and I are old pros at repurposing, for everything from fence board DIY projects to clever uses for old windows and mason jars. 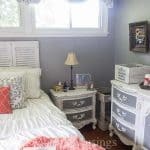 The shabby chic style with its emphasis on the imperfect is “perfect” for us. 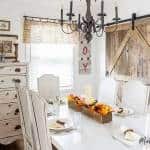 Vintage fabrics, blue mason jars and anything with distressed, chippy wood conveys the essence of furnishings and accessories that are well loved and well worn. Old things are made new with a little bit of effort and ingenuity. Here are some questions to ask yourself as you’re picking and choosing decor for your home. 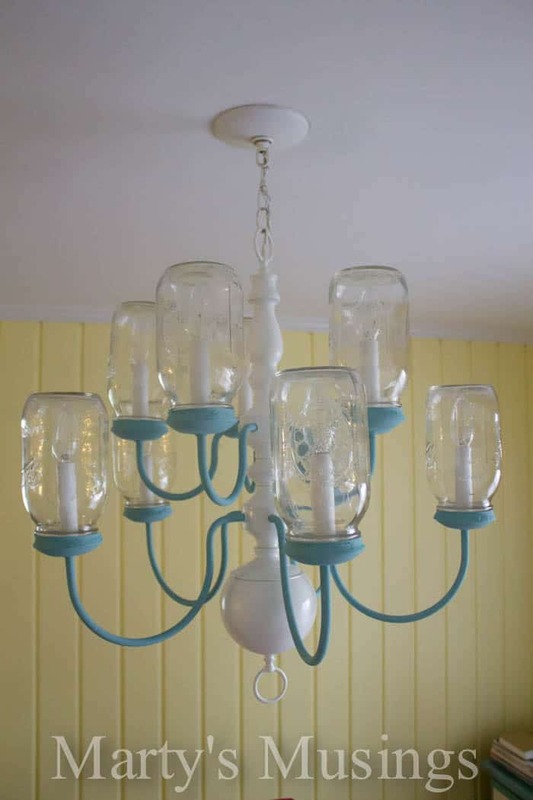 How can you repurpose something ordinary to make it unique to the shabby chic style? What do you already own that might be used in a different way? 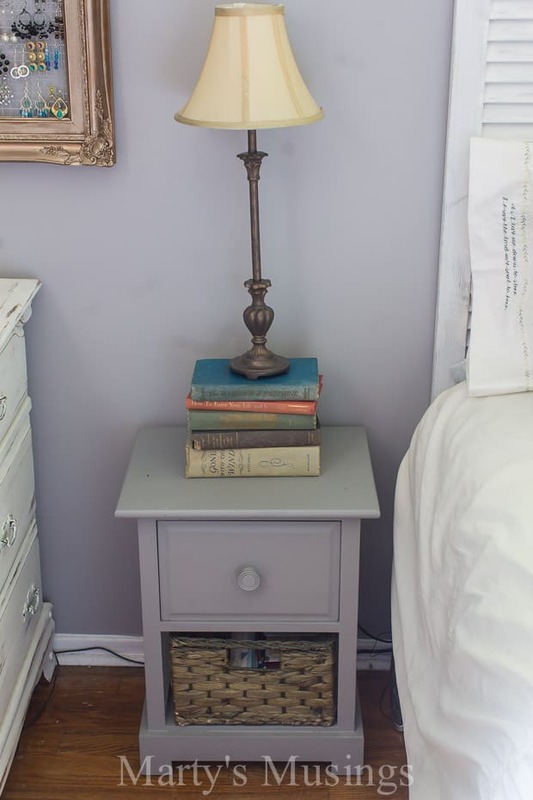 Don’t just read and then shelve but use old books to prop up a small lamp or carefully arrange to display with other accessories. 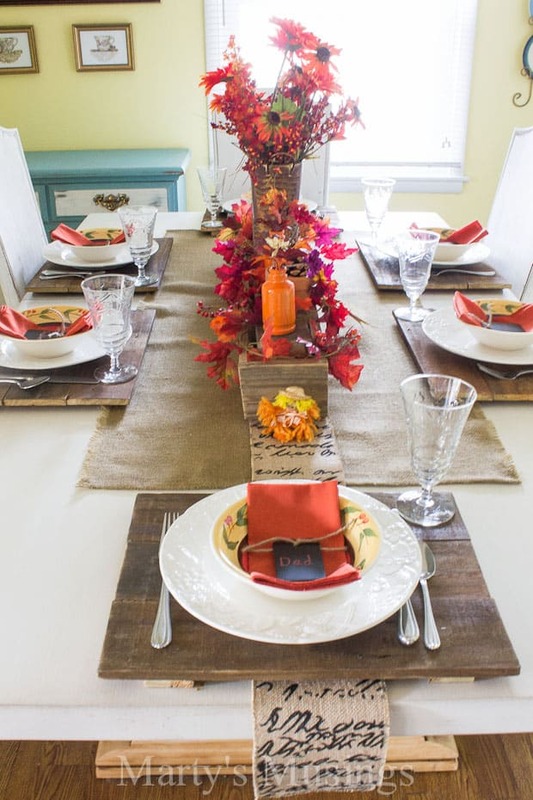 How can you dress up your kitchen or dining table for a beautiful table? My husband used his seemingly endless supply of fence board to simply cut small squares for rustic wood chargers. I then add seasonal accents or vintage china for a quick and easy table setting. Can you use old mason jars as a vase or as an organizer with pencils, toothbrushes or art supplies in it?Maybe you want to use them as drinking glasses for the perfect shabby chic touch. 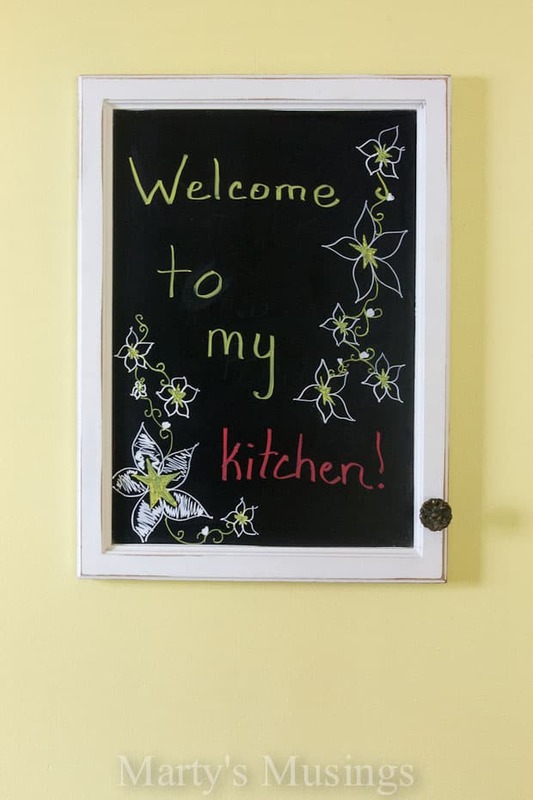 Chalkboard projects are cutting edge these days so spray paint an old cabinet door with chalkboard and hang on the wall with a favorite quote or inspirational message on it. Or use as a daily reminder to stop by the grocery store or pay the bills. How can you change the look of an accessory? I am an avid scrapbooker and recorder of our family memories. 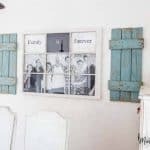 One of my favorite ways to display family pictures is with a repurposed photo frame. 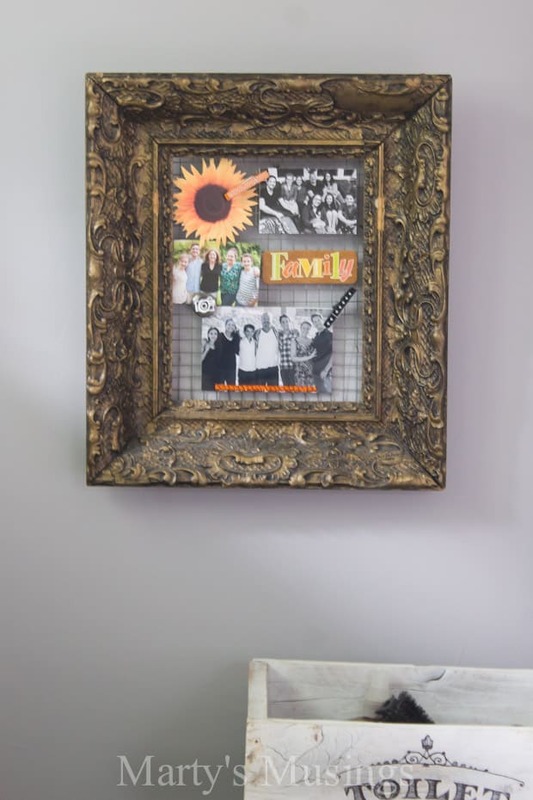 Take an ordinary picture frame, remove the glass, mat and backing, attach chicken wire (easily found at a home improvement store) and adorn with pictures and memorabilia. 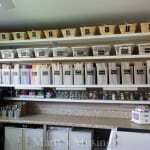 A similar idea would be to hang jewelry on the chicken wire to repurpose as a jewelry organizer. Specifically, what fabrics best represent this look? 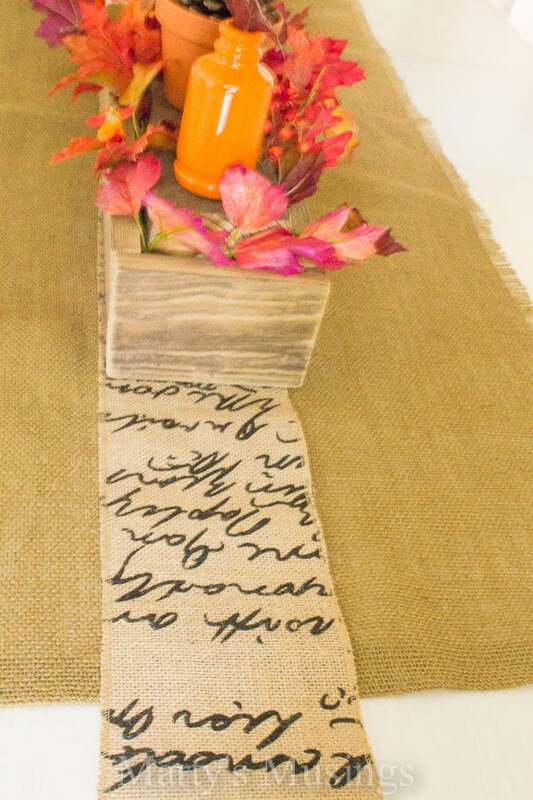 For the shabby chic look, burlap is all the rage today. From the wreath on the front door to the linens on the table, you’ll find this fabric in all colors and prints. For a new sew option, just cut along the edges and have fun pulling the threads out! Vintage fabric is easily available at thrift stores and yard sales. Even abnormalities like small stains and tears are acceptable these days! Perfection is a thing of the past and comfortable and loved on is now trendy. 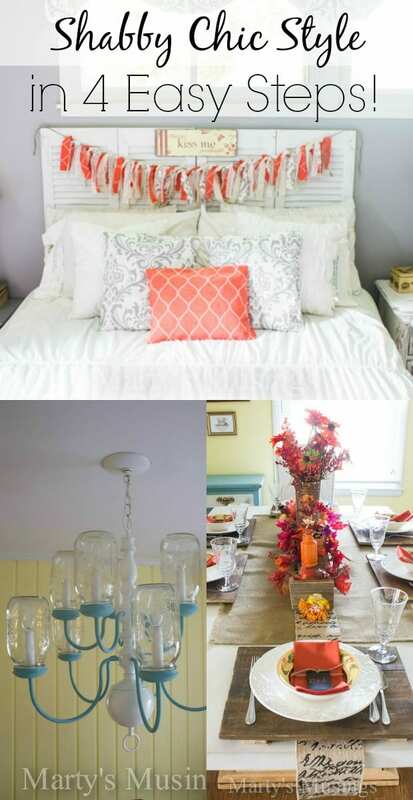 Mix light colors with pastel prints and lace for pillows or window treatments. 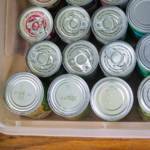 Ask your relatives if they have any heirlooms they would like to pass down. As a mom whose children have begun leaving the nest it gives me great pleasure to see dishes or knick knacks from my parents and grandparents being used in my children’s homes. Where can you find items to furnish your home without breaking the bank? I love yard sales and the thrill of the hunt! I plot out my route on Friday night, staying as close to home as possible to save both time and money. 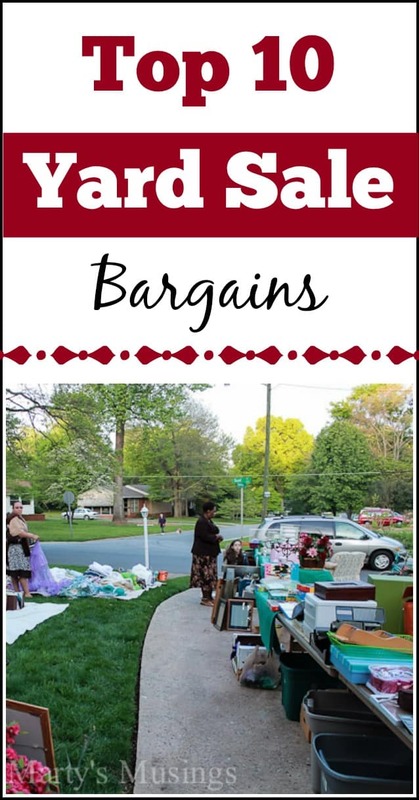 I keep your eyes and mind open to the possibilities when I shop and am ready to haggle for the best price! Thrift stores and end of the season sales at retailers are another source. It’s even possible to find objects on the side of the road. 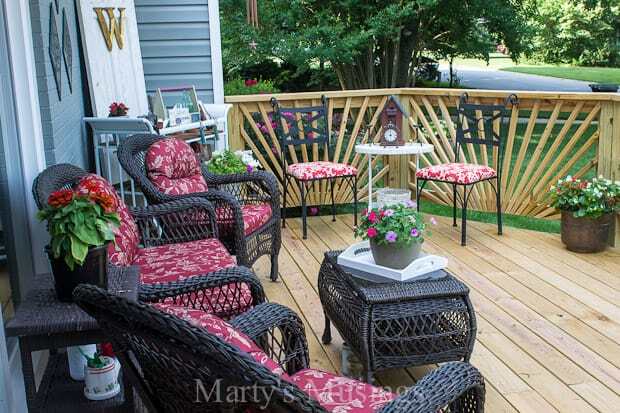 We recently constructed a deck on the front of our home and much of the decor came by scouring our neighborhood before trash day! Just remember, one man’s trash is another man’s treasure! I hope these questions will help you define your style and encourage you to make your home a reflection of you! This post previously appeared at ForRent.com/Homes.com. 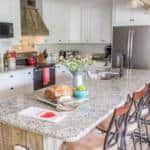 For more details please visit the ForRent.com/Homes.com blog.